Want to check out one of the most mind blowing, unique, fun, and family friendly activities in the United States? Look no further on southwest.com than booking flights in an October to the International Hot Air Balloon Fiesta in Albuquerque, New Mexico! The what?? Yep you heard me right. Each year hundreds of thousands of people descend upon Albuquerque to witness one of the most interesting and unforgettable events in the U.S. of A. We went a few years ago and I honestly can’t wait to go back again. It was truly a great time and in honor of the 2017 fiesta that starts tomorrow this is our Adventure Destination Friday blog! Secure your AirBnB or hotel! Rooms fill up as do flights so book early. The dates are always available and it October 7th thru the 15th this year. Maybe a last second road trip?! Go to bed early! There are two sessions…the sunrise and the sunset session. We attended the sunrise session and if you can only do one I recommend this one based on the fact that the balloons not only float up but they float away. They are tethered in the evening. A trip to the sunrise sessions meant a 4am wake up call for us but you’ll have breakfast burritos, coffee, and excitement swirling around you by 515am so don’t worry about it! Here's a pic of us eagerly anticipating the first ones launching! Charge your camera and phone but make sure you sit back and watch through the naked eye. Of course you want to get great pictures…but just watching without the lens of a camera provides peace and comfort that is hard to replicate. Catch the shuttle! There’s a shuttle that will take you to the event that makes getting in and out way easier. Go all in! It’s a little funny and quirky that you are hanging out at a hot air balloon festival. Embrace it and go all in with a fun and laid-back attitude and you might be surprised how much fun you wind up having. What else should you do in Albuquerque? Eat: Outside of a breakfast burrito and sunrise coffee at the festival The Church St Cafe in Old Town was amazing. Anything with tamales or chile's won't lead you astray. Roam: Take a stroll through old town. It’s an amazing neighborhood. Pop Culture: If you have ever seen the show Breaking Bad there are ample opportunities to relive some of the iconic locations. 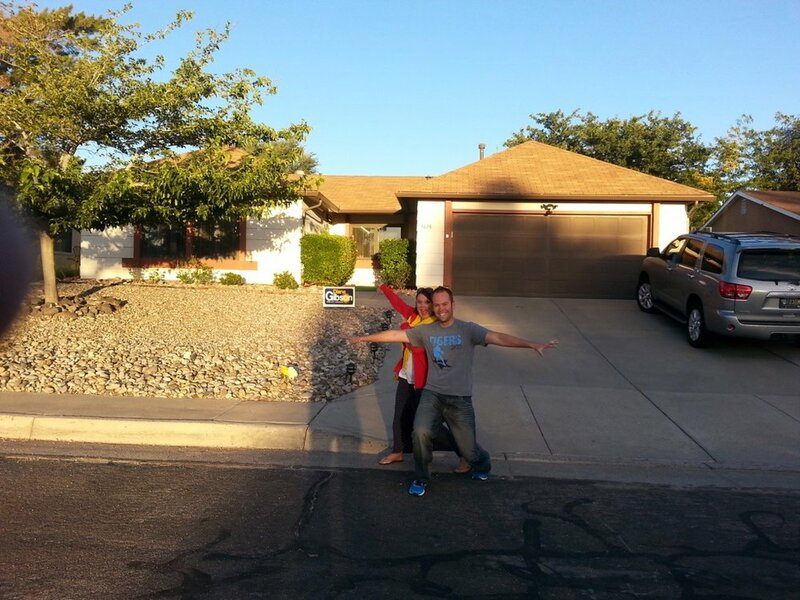 Here is my wife and I in front of Walter’s house and we also ate dinner where the “guacamole” scene happened. There are even van tours you can take if you don’t want to do it on your own. History: Visit Boca Negra Canyon and the petroglyphs the original and true owners of this country created centers ago. What’s my favorite memory of this trip? Definitely laughing about how many photos the four of us took in a four hour time period at the festival. Easily 200 each! We just couldn’t stop. What about getting stuck in Chicago overnight and missing your layover en route? That stuff happens! Let it be and don’t get upset about it. It’s part of traveling…and it’s part of life. If you try to control everything you will feel extremely out of control. Chicago Midway Airport Hotels…I’m sure I’ll see you on another canceled flight sometime soon! Have you been to the festival? Any questions or additional thoughts? 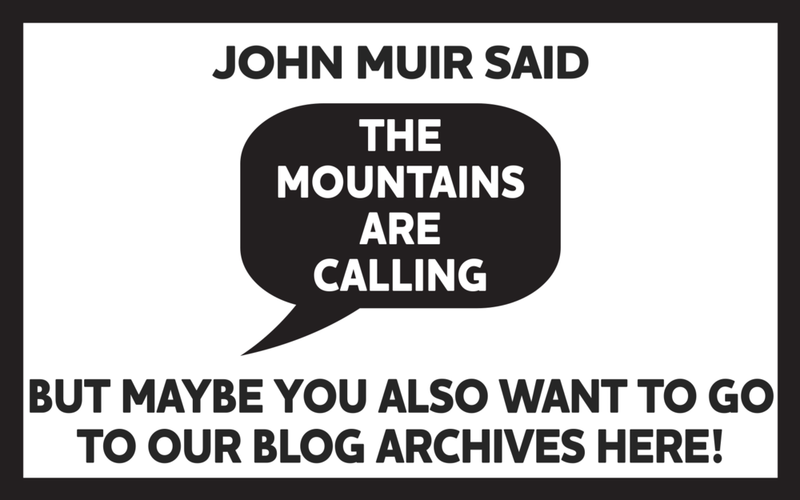 Put your comments below we’d love to hear them. Sign up for our newsletter and be automatically entered to win a free print HERE in our Q4 2017 drawing.